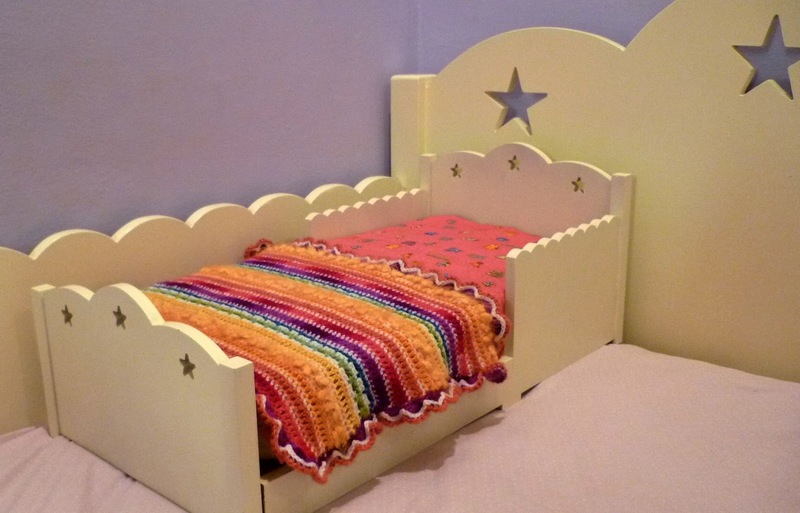 Stitch Story: How to Combine Woodworking with Crochet? When I am between design projects, I crochet things my daughter requests. 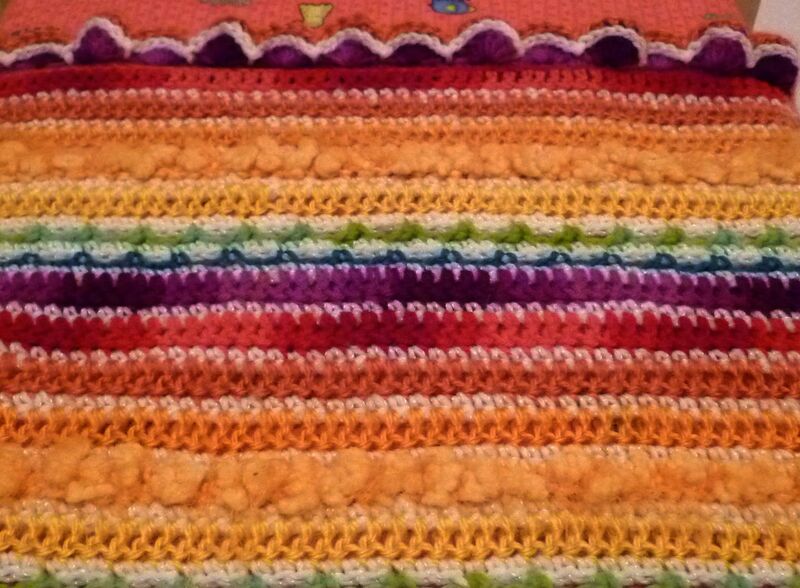 I crocheted this doll blanket for one of her more colorful dolls. It was a fun day project using up bits from my yarn stash. I used simple stitches to let the yarn do the talking. 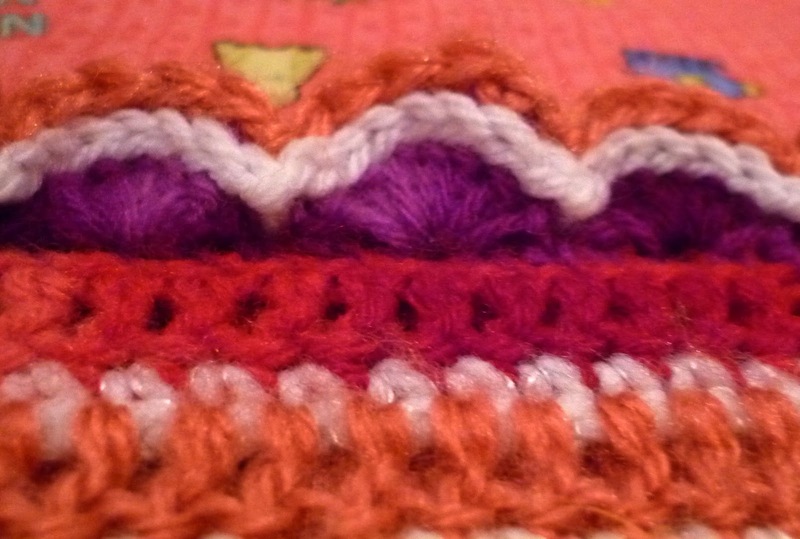 Notice the surface crochet I used on the shell stitch edging. 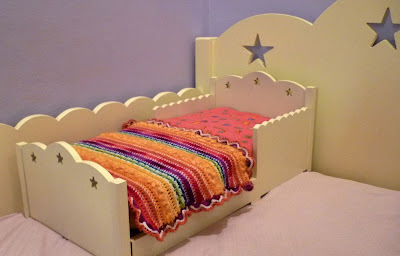 My husband says he is trying to think of a way to combine the two crafts of woodworking and crochet. I think if he gets the CNC machine he has been dreaming about, there could be some interesting possiblities! Thank you for the nice comments, Linda! The beds are amazing and I love your throws. Nicely done!